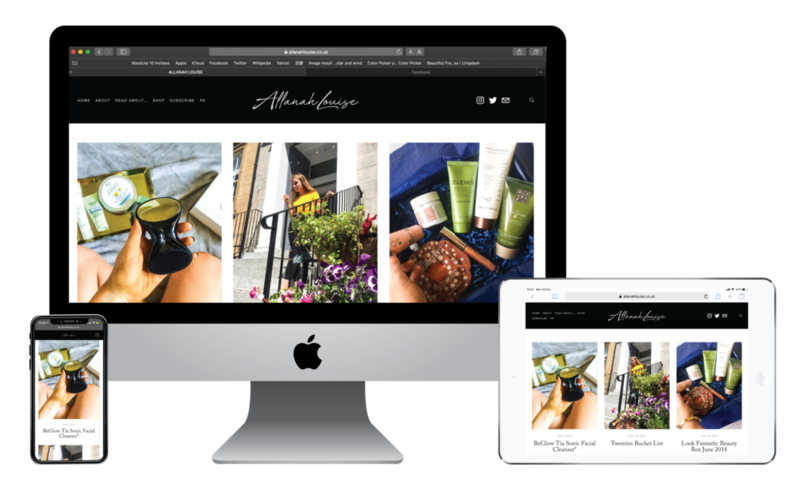 AllanahLouise Brand — The Marketing Department — branding, design, marketing and events. Based in Glasgow, operating worldwide. AllanahLouise is a blogger based in Glasgow. She started blogging after being engrossed in the online beauty community for years, starting with the old school ‘What’s In My Bag’ videos & endless MAC hauls. Since then, she has fallen in love with blogging. Whilst she still writes about her favourite beauty finds and releases, her blog has become a lot more diverse featuring posts about relationships, work and loads of upcoming travel content. Allanah has built up her blog over a few years and her website has grown as a result. We helped her with a few technical features to update the website and give it a fresher look. We also created the new AllanahLousie brand. Copyright © 2015-2019 The Marketing Department Ltd.
We respect privacy - see our data policy. Thank you! You’ll receive an email from Mailchimp asking you to confirm your subscription to our mailing list.